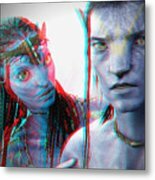 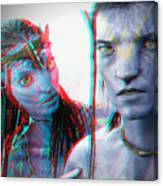 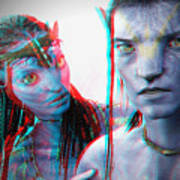 3D stereo anaglyph conversion of Neytiri (Zoe Saldana) and Jake Sully (Sam Worthington) in the film Avatar. Red/Cyan filtered 3D glasses required for viewing depth perception. 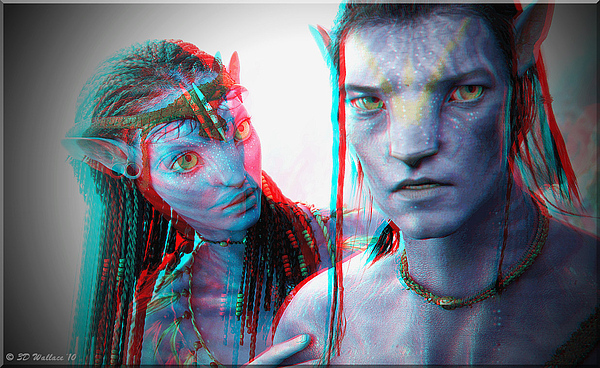 Red/Cyan filtered 3D glasses required for viewing depth perception.